You cannot miss him if you are moving around in Bangalore. He is everywhere, whether looking at your advertisement hoardings, telling you to drive safely, in film posters and also hosting television shows. Well no prizes for guessing that I am taking of talented and versatile actor Sudeep. In spite of his hectic work schedules he is a thorough gentleman and actually called me back to do this interview when I messaged him asking for his availability. After making a successful movie like Manikya where he donned the director’s hat with aplomb, I ask him when he would take on the mantle again. “This is one thing that is a conflict within myself too because as a director it is a different personality and one that takes a lot of time away. It is not just that I want to be an actor but today I have so many people who are writing scripts for me and waiting with so much awe in their eyes to work with me that I feel that it is not right for me to cut off from them to work on my directorial. 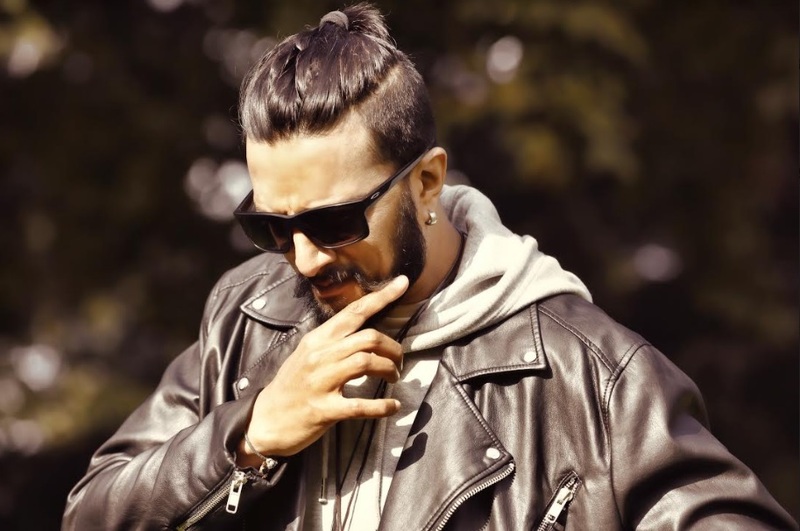 Today I am finding happiness being part of someone else’s scripts but having said that I will direct again too in a while.” While Sudeep admits direction excites him, he would rather be part of the other person’s dream. As the face of Big Boss Kannada that he has hosted right from inception to the current season on air he says that the stage is something else. “There are times when I only shoot for Big Boss and there are times when I have no time and still come back on weekends to shoot for it on weekends. So sometimes it is a relief and sometimes it is like a container on my shoulder. But once I am on that stage it is something else as the team is looking up to me to host it and I know that for the contestants I am their only source of entertainment and they are waiting for me. That drives me and I go there to ensure they are okay for the next week.” When I tell him that a lot of people watch Big Boss because of him he is quick to say, “yes likewise with films too. People are coming in large numbers to watch me and that is a responsibility. Will that add to the pressure but no complaints from me as to be successful you should handle pressure so that you are able to justify your work.” He admits that he handles all his work with the same responsibilities. Sudeep admits that seeing people as they are independent of imperfections is the way he sees things now. So does he have a dream role? “I would say that the best thing of being in the film industry is that we are able to live our dream and after we go to sleep there is no other dream left. We are fabricating so much as actors and doing something new all the time. As an actor you cannot have a particular character to dream of and rather each day on the sets it is important to so something new.” He is currently working on Hebbuli that is likely to have a December release and is also ready with his next. His mantra is simple and he works on one movie at a time and keeps the next one ready and he knows that this works for him. With his focus and dedication, here is an actor that has weathered many a storm in his personal and professional life to emerge stronger than before and has bettered what he loves doing – entertaining the masses. This story appeared in Deccan herald’s Sunday Herald here. Indeed he is also a very nice person.